Budapest boasts not one but several historical market halls, most of which are in, or close to the city centre, like the Central Market Hall also known as the Budapest Great Market Hall , which is the most well known of them. 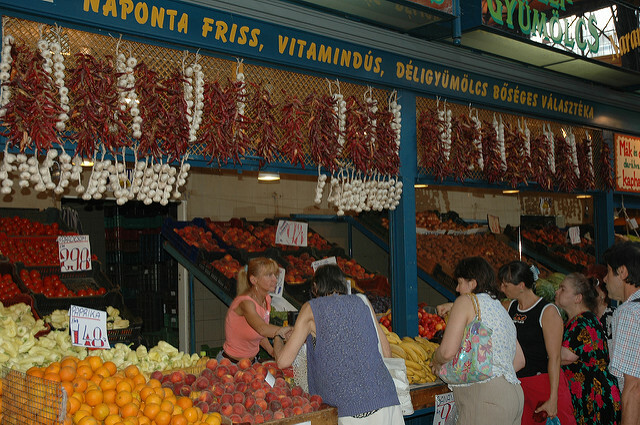 It has been the belly of Budapest since the 19th century, a central fresh food market nowadays with gift, clothes, bag etc. stalls and lots of street food vendors. 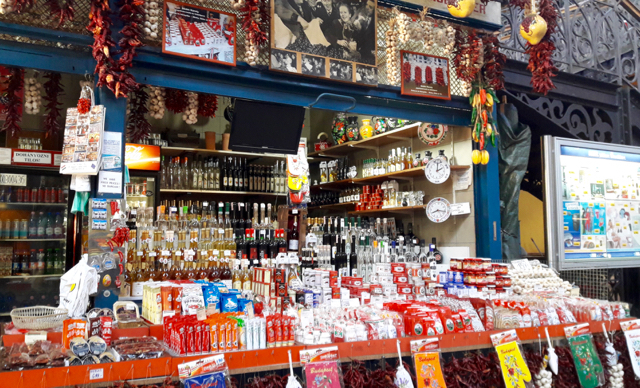 Visit the hall on your own, or book a food tour to have some guided tastings in a Budapest Market & Food Tour, learn about the history of the Market Halls, and Hungarian traditional foods, tips for recipes. 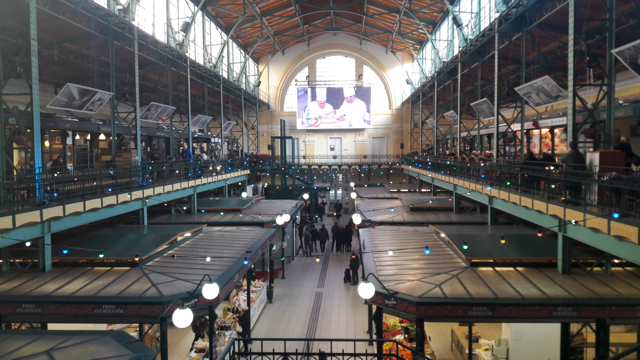 You can visit the market halls in Budapest free of charge as all of them are functioning as lively market places. There is no extra admission, you can browse the goods of the food / drink / craft stalls like at any other market in a city. How to Get to City Central Market Halls in Budapest? Great Market Hall – by the river Danube on the Pest side of Budapest near the green historical bridge (Liberty Bridge), overlooking the UNESCO World Heritage (the Danube embankment with major sights like the Buda Castle, Gellert Hill, etc. ), and more architectural attractions like the green Liberty Bridge or Gellert Spa. Downtown Market Hall (Hold Street) – within walking distance to the Hungarian Parliament building in a less touristy Hold Street. Its interior is very similar to the Great Market Hall (as the photo shows) but on a less grand scale. That said, one of the favourite markets of locals in Budapest. As the hall is covered with a beautiful roof, you can plan your visit for rainy days. Hello! I really love tour market, beautiful, good Food and drinks! Also nice people and friendly.I watt to visit again! The only bad thing is that on May 28th I was stolen my Nike black handbag with my wallet, money, all documents, panasonic fs35 câmera and NEW Samsung galáxy s3 cellphone,blue. The tourism help are very nice and try help, the security nice but did….nothing! Then come 2 police Who did nothing and went away!!! I would love to gente my Sd Card with all my photos. I will give reward if somobody finds it. Dear Fernando, we are terribly sorry to hear about your misfortune. The Market Hall is a very busy place often full of people. Just like in any big city, including Budapest, London, Lisbon, Paris or Tokyo, bustling with hundreds of thousands of people, leaving your bag unattended is a major risk of getting it stolen. We hope that your card full of photos will be recovered. Hi – will you be open on Easter Monday (March 28)? We are visiting from London and would love to stop by. If so, what are your hours? Hello Alex, thank you for visiting Budapest from London, hope you will love our city. On Easter Monday the market halls are usually closed unfortunately. Hola! I would like to know when is the next event of Mexican Food in the Market Hall? I recently moved to Hungary from Acapulco and i would like to purchase some ingredients from my Country. Thank you very much and have a nice day! Is the Great Market Hall (Central Market Hall) open on October 6, 2015? A Budapest tour guide told me that it would be closed that day due to a National Holiday. However, I have been unable to determine what holiday is on October 6, 2015. This is the only day I have available to visit the market. Can you clarify? 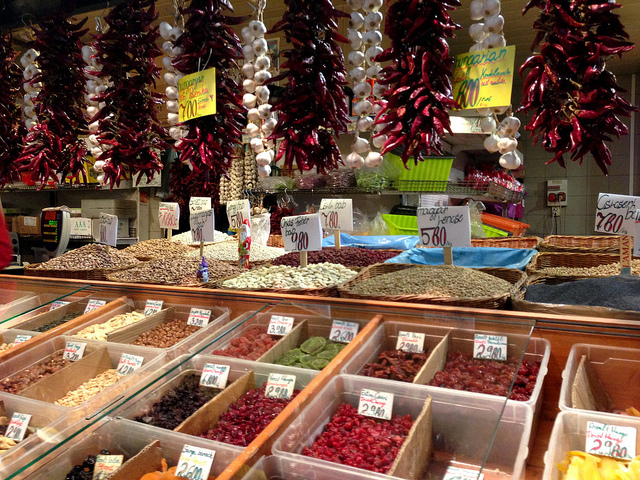 Dear, is the Central market place in Bydapest Open on Friday 21 August 2015? We purchased some embroidered linens from the market when we were there and would like to purchase more to be shipped to us. Is there a directory of vendors available for us to shop online or wholesalers? In Berlin gab es mal viele Markthallen, die meisten sind mittlerweile weg oder charmebefreit. How would it be possible to see this Tuna at the Market in Budapest ? Thanks for finally talking about >Budapest Market Eventss <Liked it! When is the Polish festival days in summer 2017? We would like to visit again as I really enjoyed last summer. Hello, I would Know if the Central Market Hall will be open on first of may! I am an executive producer of a television programme ‘David in Europe’, which focuses on the topics both cooking and travelling. The programme is produced by TV WORKING studio and aired on Polish channel Kitchen+, which belongs to the Canal+ group. During each series, our host David Gaboriaud, a Poland-based French chef and traveler explores the most beautiful regions of Europe and reveals their characteristic cuisine and culture. Additionally, in each episode David cooks two dishes, which refer to the regional cuisine. To provide the audience with the best representation of the local culinary traditions, David focuses on using local products and visiting domestic markets. So far, he has visited Spain, Portugal, France, Italy, Scandinavia and the Baltic States. The Episodes aim to explore the culture and cuisine of Hungary, along with promoting the top outdoor activities of the country. By showing the most stunning culinary attractions alongside with the natural beauty of the three following cities – Kesztheley, Budapest and Szeged, we hope to encourage the viewers of Canal+ to visit Hungary. One part of our program is cooking the courses. We are doing it from local products. So another important part is buying ingredients. We always visit local markets. In following episode We would like to visit your place. 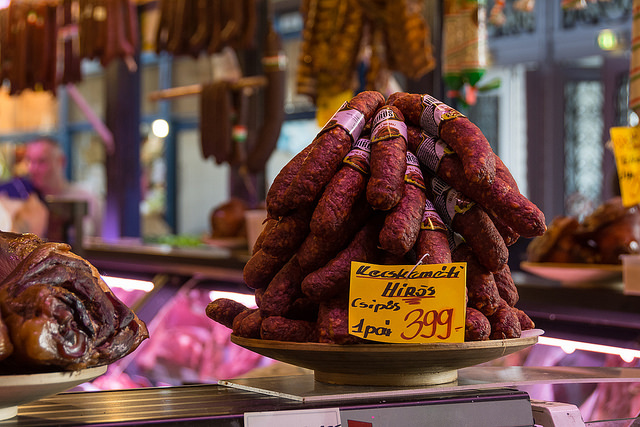 In this episode it would be grate to show the oldest and biggest market in Budapest. So I would like to invite you to our program. We will be in Budapest at the 12th of June and the morning hours would be the most convenient. To conclude, It would be grateful if you will be interested in collaboration. Please let me know and i will send you the details. 1. Three magnificent episodes of ‘David in Europe’ dedicated exclusively to the cultural promotion of Hungary in one of the most often watched thematic channels in Poland. 2. Promotion of Hungary in Poland by presenting its attractions: culinary, history, cultural, as well as active recreation. 3. Uploading pictures of Hungary on social media such as Instagram and Facebook. 4. Placing the logo and acknowledgments for Hungary and your company in the closing credits. I would really appreciate if you could help us. Please can you tell me if the Market is open on Saturday 21st October 2017. I know that 23rd is a National holiday and that the Market is usually closed on Sundays so Saturday would be the only day to buy food before everything closes for the Monday Festival for 60th anniversary. I was wondering if the Market will be open on Easter Monday, April 2nd. I would like to know how much costs the market tour, we are a group of 80 students. Are there any discounts for students? My father had a stall at the central market during World War 2 and earlier. Does the market retain any historical records about stall holders from 1920s and 1930s please? We would like to visit The Market Hall on Sunday, December 16th. Does the market have modified hours on Sundays due to the Christmas shopping? the market hall is closed on Sundays. Hi, is there an entrance fee we need to pay before going in? you can visit the market for free. I’m doing a research on Market Halls redevelopment and would like to use Nagyvásárcsarnok as a benchmark. Could you please share some statistics on attendance dynamics and operational performance, area program, concept and marketing strategy.